Natural remedies for glaucoma are not at all a substitute for conventional glaucoma treatments. Such remedies can only be regarded as supplemental therapy to help support general eye health, somewhat improve fluid circulation in the eyes, to help reduce oxidative stress, provide better antioxidant protection and keep general eye health in the best shape possible. Natural remedies for glaucoma do not cure glaucoma, neither can they reverse damage or restore the lost field of vision if it occurred. However, according to the Glaucoma Research Foundation, an estimated 5-15% of glaucoma patients still use alternative or natural remedies for glaucoma. Most alternative methods combine two mechanisms of action: they improve ocular blood flow and thus may reduce intraocular eye pressure, and at the same time provide powerful antioxidant protection and/or raise glutathione levels potentially improving eye health. In this overview I will mention only the remedies that have had studies done to prove their efficacy under certain conditions and that are not harmful to one’s health (for example, alcohol and marijuana may improve circulation and temporarily lower eye pressure but have obvious and significant side effects). Ginkgo Biloba is known to improve microcirculation in the brain and positively affect the ocular blood flow. It acts as a blood thinner and has antithrombotic properties and is recommended as an alternative natural treatment for glaucoma patients, especially in normal and high tension glaucoma (Ginkgo Biloba: An adjuvant therapy for progressive normal and high tension glaucoma. Cybulska-Heinrich AK, Mozaffarieh M, Flammer J. Mol Vis. 2012; 18: 390–402; Short-term effects of Ginkgo Biloba extract on peripapillary retinal blood flow in normal tension glaucoma. Park JW, Kwon HJ et al. Korean J Ophthalmol. 2011 Oct;25(5):323-8. doi: 10.3341/kjo.2011.25.5.323. Epub 2011 Sep 20). The most recent study has even observed improvements in visual field of some normal tension glaucoma patients (Ginkgo Biloba Extract Improves Visual Field Damage in Some Patients Affected by Normal-Tension Glaucoma. Quaranta L, Riva I, Floriani I. Invest Ophthalmol Vis Sci. 2014 Apr 15;55(4). pii: 2417. doi: 10.1167/iovs.14-13942). There are also studies out there that had inconclusive results or did not find considerable (statistically significant) improvement in patients using Ginkgo Biloba. However, this natural remedy for glaucoma is possibly the only one that your doctor may recommend you try in addition to conventional methods of lowering eye pressures. In 2012 Ray’s ophthalmologist recommended him to include Ginkgo Biloba extract into his regimen at a high dose of 120 mg twice daily. At that time his eye pressures plateaued at 18-19 mmHG which was within normal range but at the high end of it, and the doctor wanted to see pressures go down more without having to resort to additional laser surgery. Ray has been taking Ginkgo Biloba ever since in conjunction with his daily eye drops. His eye pressures slowly went down to 12-13 mmHG over the past 2 years, quite possibly due to Ginkgo improving the ocular blood flow. Ray has been taking Ginkgo Biloba by NOW Foods, 120mg, 24% standardized extract. /affiliate link/. Caution should be exercised when taking Ginkgo because it is a powerful natural blood thinner. Some of the side effects could be nose bleeds, prolonged bleeding from cuts or wounds, including the danger of internal bleeding under certain medical conditions. Ginkgo cannot be used along with other blood thinners, and may adversely affect other medications. Supplementation with Ginkgo must be stopped at least 2 weeks prior to any surgery. Always consult a medical professional before taking this supplement. Turmeric is an Indian spice with deep yellow-orange color. It is becoming more and more popular because of the mounting research into the potent antioxidant, anti-inflammatory, anti-tumor and neuroprotective properties of curcumin, a polyphenol compound of turmeric. 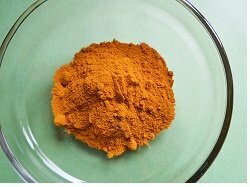 Curcumin content in turmeric powder is about 2-5%. Turmeric is also known to be a blood thinner that improves circulation. In addition to these properties, turmeric is also one of the few spices (along with cinnamon and cardamom) that are known to stimulate glutathione production and assist in restoration of healthy glutathione levels. The review “Curcumin: Therapeutical Potential in Ophthalmology” Pescosolido N, Giannotti R, Plateroti AM et al. (Planta Med 2014; 80(04): 249-254 DOI: 10.1055/s-0033-1351074) states that “it has been demonstrated that curcumin has beneficial effects on several ocular diseases, such as chronic anterior uveitis, diabetic retinopathy, glaucoma, age-related macular degeneration, and dry eye syndrome”. Another review concluded that “curcuminoids may be potentially effective therapeutic means to treat neurodegenerative diseases” mentioning glaucoma and age-related macular degeneration among such diseases. (Curcuminoids in neurodegenerative diseases. Kim DS, Kim JY et al. Recent Pat CNS Drug Discov. 2012 Dec;7(3):184-204). Unfortunately, curcumin has low solubility and oral bioavailability. However, the above-mentioned review “Curcumin: Therapeutical Potential in Ophthalmology” states that curcumin is absorbed 6.3 times more effectively when mixed with oils and black pepper. Another study confirmed that piperine, a compound responsible for the pungency of black pepper, significantly improved the plasma concentrations of administered curcumin both in animals and humans. (Influence of piperine on the pharmacokinetics of curcumin in animals and human volunteers. Shoba G, Joy D et al. Planta Med 1998; 64: 353-356). Although there aren’t any specific recommended doses for turmeric, 1-2 teaspoons a day can be added easily into the diet. I add turmeric, along with olive or coconut oil and black pepper, to all meats, roasted and sautéed vegetables, pilaf, soups, eggs, salad dressings, and as a topping for homemade popcorn. I recommend what we use - organic ground turmeric by Frontier Natural Products that is guaranteed to have 4% curcumin content /affiliate link/. Why is organic important? - Ground turmeric is the root of the plant and readily absorbs pesticides and chemical fertilizers, that is why it is important to choose organic in this case. Melatonin is a very powerful antioxidant produced by the pineal gland in your brain after dark and at night while you sleep. In addition, melatonin has been proven to raise glutathione levels. Glutathione is a master antioxidant that your body produces in every cell to combat oxidative stress, eliminate toxins and pathogens, and protect DNA from damage. Low glutathione levels have been associated with many diseases (including glaucoma) and shorter life span. To learn more about glutathione visit our page Glutathione. 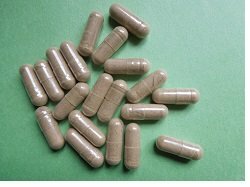 Synthetic melatonin in pill form may have side effects and is not suitable for everyone. The only safe natural dietary source of melatonin that has been proven to noticeably affect blood melatonin levels is tart (sour) cherries, especially Montmorency variety. 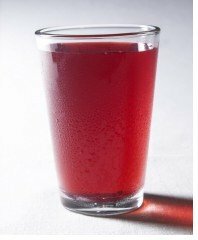 One ounce of concentrated Montmorency tart cherry juice (concentration 80-100 cherries per ounce) provides as much natural melatonin as circulates in the bloodstream of a healthy male at night time. You can find more information on melatonin, its importance for glutathione production and other, although much less significant, dietary sources on our page Melatonin. High doses of vitamin C were successfully used to lower intraocular eye pressure in one study on human subjects with chronic open-angle glaucoma. IV doses were in the range of 1 g/kg of body weight, oral doses (ascorbate) were half that – 500mg/kg of body weight. After a one time dose eye pressure decreased dramatically at 2 hours and at 4-5 hours. The drop in pressure lasted on average 8 hours. The higher the initial pressure was, the more it dropped. For example, the initial pressures of 50-69 mmHG dropped 16 mmHG at 2 hours and 25 mmHG at 4-5 hours. The pressures in the eye with normal IOP dropped 3.5 mmHG. The common side effects of such massive vitamin C therapy were gastric upset and diarrhea. To reduce these side effects researches also administered ascorbate in divided doses 3-5 times daily at 0.1-0.15 mg/kg of body weight for 2 weeks. All but one patient experienced IOP reduction and the side effects were minimal at divided doses. (Oral treatment of glaucoma with vitamin C. Virno M, Bucci MG et al. Eye Ear Nose Throat Monthly, 1967; 46: 1502-1508). I have not been able to find any other newer studies duplicating the results of this above-mentioned study. However, it was referenced in several more recent overviews of alternative and complementary therapies for glaucoma. Since Ray's eye pressures dropped successfully to 12-13 mmHG with the use of eye drops and Ginkgo Biloba he has not discussed the high dose vitamin C therapy with his doctor. 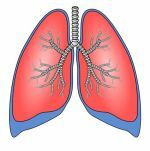 The study suggested that this therapy could be useful for patients who do not respond to conventional pressure lowering therapies. Fennel extract in the form of eye drops was successfully used to lower eye pressures in one study on rabbits. Fennel drops were able to reduce pressures 17.29%, 21.16% and 22.03% at 0.3%, 0.6% and 1.2% concentration respectively in rabbits with normal eye pressures. The 0.6% concentration was then used in the steroid induced rabbit model of glaucoma. The mean lowering of eye pressure of 31.29% was observed. This result was comparable to timolol, pharmaceutical eye pressure lowering eye drops. However, the results did not last as long as timolol. I mentioned this study only because the preliminary results with fennel sound promising. Ray’s ophthalmologist got very interested in it and even requested a paper copy. Hopefully, more research will be done in this area that will allow natural fennel eye drops to be developed. Unfortunately, there is no evidence that taking fennel extract internally or eating fresh fennel will produce the same results. Please do not attempt to use liquid fennel extract as eye drops!